I wanted to find a dessert that was easy, didn’t require turning on the oven, pretty, and on the lighter side. Got it! I made this dessert just about a week ago when I went over my brother and sister-in-law’s house for dinner after work one night. I wanted to contribute something, so I brought dessert (and rose, of course). It was my first time making these, and it was delicious, SO easy to make – and very patriotic! 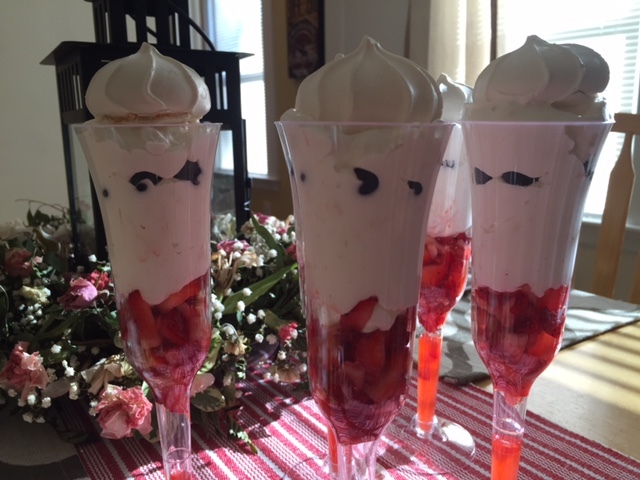 Something to put them in: I bought plastic champagne flutes from a local liquor store, but you could also use ice cream or parfait cups. Put half of the Cool Whip into a larger bowl, and then add the crushed up meringues to the Cool Whip and stir. You can always add more Cool Whip, or meringues if needed. 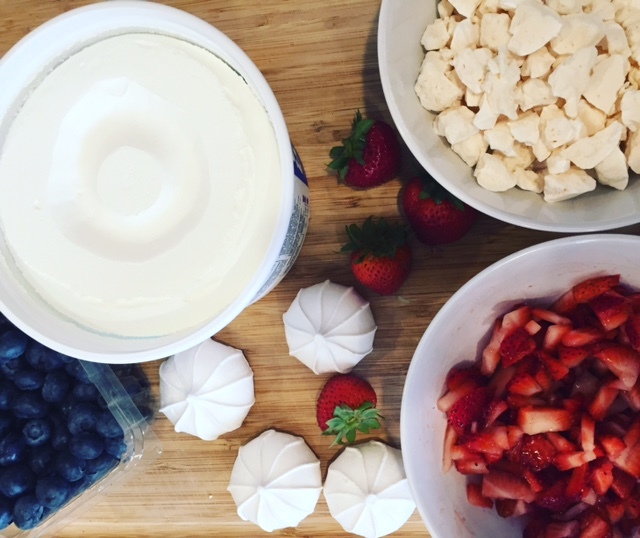 You want all of the pieces of meringues to be covered in Cool Whip, and enough meringues that each bite gives you a piece. Divide the strawberries equally between the cups, then top each with a hearty scoop of the Cool Whip/meringue mixture. Evenly divide the blueberries to cover each, then top each with a smaller layer of the Cool Whip/meringue mixture. Top each with a full meringue. 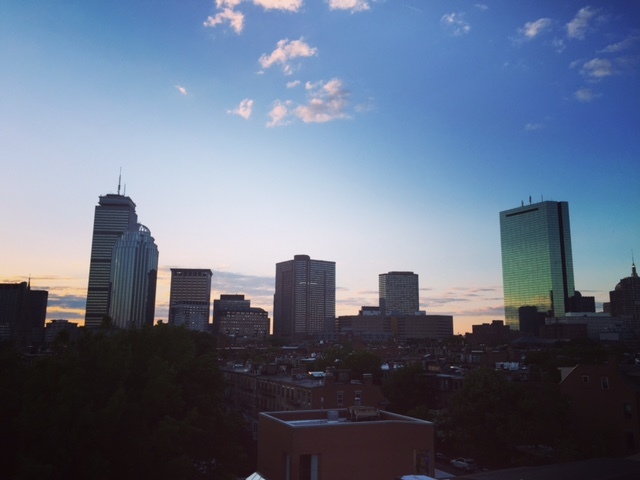 We enjoyed these on their roof deck in the South End of Boston, just at sunset. Beautiful!